With the continued expansion of the tourism and hospitality industry in South Africa and the rest of Africa, prospective students are increasingly opting to qualify for a career in this industry, an expert says. “We’ve seen a steady increase in enrolments for tourism and hospitality-related qualifications and courses over the past 3 years, which points to a growing demand in the field,” says Ncumisa Makrayi, Senior Team Leader at Oxbridge Academy, which serves more than 20 000 South African distance learning students every year. She says the industry is very attractive not only to young people, but also to those seeking a career change later in life, because of the growing and diverse opportunities at both junior and senior level. Due to the nature of the industry, there is also plenty of room for career growth and specialisation, she says. Currently, the direct and indirect jobs in the sector in South Africa alone are estimated at more than 1.2 million. But the World Economic Forum (WEF) has estimated that sub-Saharan Africa will create about 3.2 million tourism jobs between 2012 and 2022. Additionally, the WEF expects African tourism employment to grow by 2.3% per annum. Makrayi says that it would be impossible to note all the opportunities in the industry and the fields that can be pursued, but that these include positions such as hotel manager and receptionist, reservations clerk, travel agent, tour guide, waiter and bartender, barista, event planner, flight planner, travel agent, concierge, and chef. “Another major benefit in this industry is that there is a lot of scope – and indeed we are seeing this happen – for suitably qualified and experienced professionals to start their own small businesses in their chosen field,” she says. But Makrayi says with the increase in opportunity, there is also an increase in competition for available opportunities, which means that people wishing to enter the industry will do well to show that they have mastered the basic theory in their chosen field, and that they have some experience. She adds that, before deciding on a specific field in tourism, candidates should do their research and determine which careers are best matched to their individual strengths and passion. Hotel managers, on the other hand, need to be comfortable with great responsibility, and must be able to juggle many balls at once. For those who enjoy travelling, becoming a tour operator is the job of a lifetime. 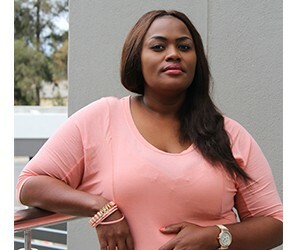 Makrayi says a good starting point for those who want to pursue a career in tourism, but who are not yet sure in which field, is to do a National Tourism Certificate that is registered on the National Qualifications Framework (NQF). “That will give you a solid theoretical grounding and a foot in many doors, while you investigate exactly which field is the best fit for you,” she says.